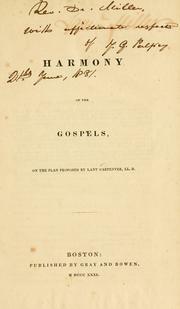 1 edition of Harmony of the Gospels found in the catalog. Add another edition? Are you sure you want to remove Harmony of the Gospels from your list? 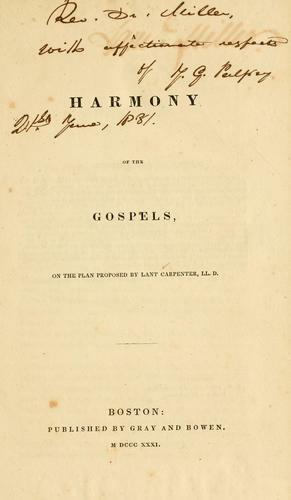 Published 1831 by Gray and Bowen in Boston . July 2, 2008 Created by an anonymous user Initial record created, from Internet Archive item record.